For the past 48 hours the Star Wars news cycle has been dominated by updates for Star Wars Celebration Chicago! Lucasfilm and Reedpop have been dumping a massive amount of information this week, revealing new panels, guests, exclusives, and an overhauled queuing system. In addition to all of that, today they revealed the (mostly) full official schedule for Celebration Chicago. 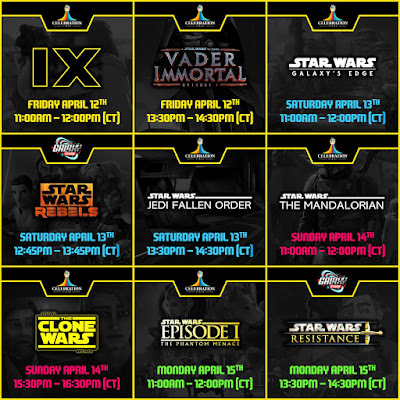 The official Star Wars Celebration website was updated earlier today with the schedule. Although there's a few noticeable gaps, this schedule gives us a much better idea of what to look forward to at the convention. 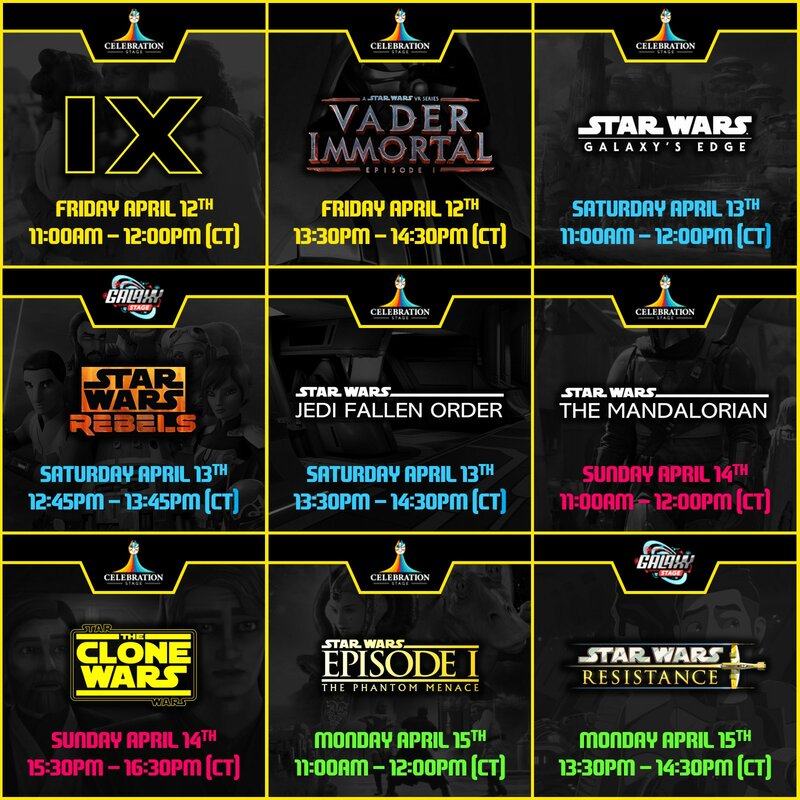 The schedule covers all of the stages, from the Celebration and Galaxy Stages, to the Fan and Podcast stages. The schedule page also provides a pretty convenient way to toggle through the different stages and days to make planning your experience easy. You can click here to head over and see the schedule for yourself! We'll certainly have to keep an eye on the schedule as (presumably) more panels and events are added in the coming days. 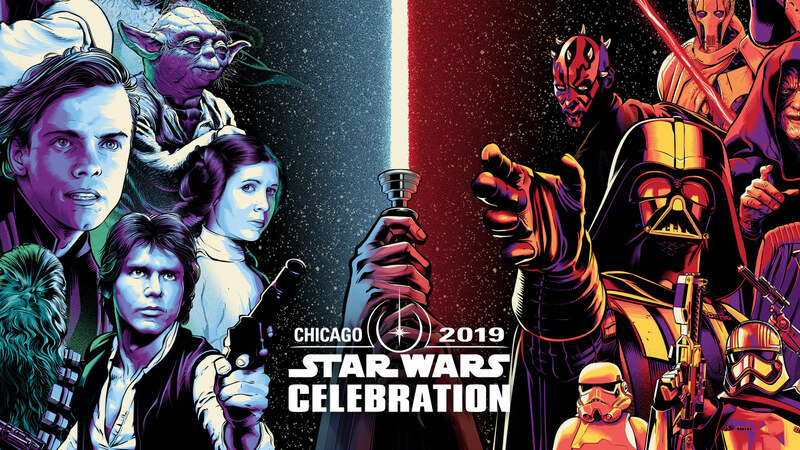 Star Wars Celebration Chicago, which is now less than 19 days away, takes place at McCormick Place in Chicago, Illinois from April 11th-15th. Tickets for Monday are available here. ReedPop also recently announced that they have partnered with Lyte for fans who want to exchange their tickets. Details about the exchange program can be found here.